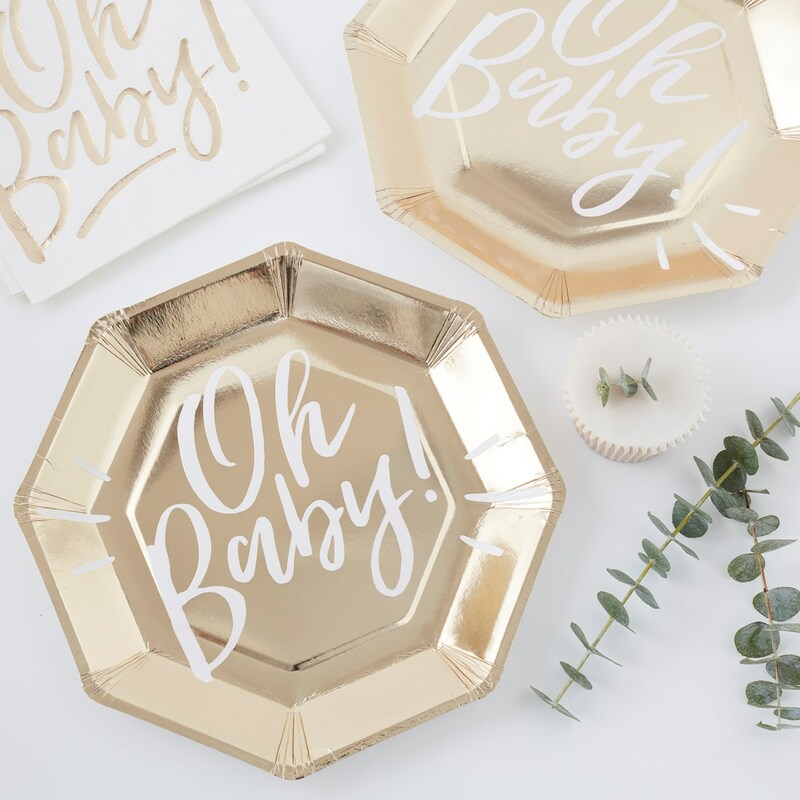 Celebrate with our gorgeous foiled gold ""Oh baby"" paper plates. The white text sits on a shiny gold background. These adorable plates will make up the perfect setting for the glowing mummy to be and make eating tasty party treats easy! Set the beautiful gold foiled ""Oh Baby"" plates amongst our napkin and cup, then sprinkle with some ""Oh Baby"" confetti for a magical finishing touch. Each pack contains 8 plates measuring 250mm (Diameter).